You are on your way to freedom and flexibility as you prepare yourself for entrepreneurship. As experts point out, you need more than an idea to succeed as a business owner. Well, you can deal with the matter at hand in various ways. Some of these techniques are new and creative, representing how modern businesses work. The other ideas have never gone out of business and remain worthy of mention. How can you transition from an employee to a full-fledged entrepreneur? You are eager to enter a new phase of your life as a proprietor of an online e-commerce store. But, there are millions of e-commerce websites out there offering a multitude of products. What can your store offer? How does it fit into the market or fill an underserved market? You have done your homework on possible products to sell. How about soliciting suggestions or recommendations from friends online? Crowdsourcing for ideas is like casting a net on a vast sea. You will get all sorts of insights, fresh, stale, brilliant, and unheard of that you can use for brainstorming. How much capital do you need for your small business? The answer depends on the nature of your venture. If you go the e-commerce route, you’ll be shelling out on the domain, hosting, and payment platform as part of the routine operating costs. While you can save on these costs when you sign up for platforms that enable you to set up your online store for a monthly fee, save for your business funding. You can set aside your bonuses, commissions, or a portion of your wages to this account. Track your expenses religiously to explore areas that you can cut corners, such as eating out, shopping on weekends, and maxing out your credit cards. Aside from saving money, keeping track of your expenses and staying on top of personal finance improve your credit score and boost your likeability as a borrower to lenders. You can use this credit score to apply for loans or funding programs. Interestingly, your company will have a separate credit score that is partly based on your personal credit score. You are at the forefront of your business and responsible for making the most sound decisions. While some contend that business acumen is inherent, this business smarts is a competency that you can work hard to achieve over time. 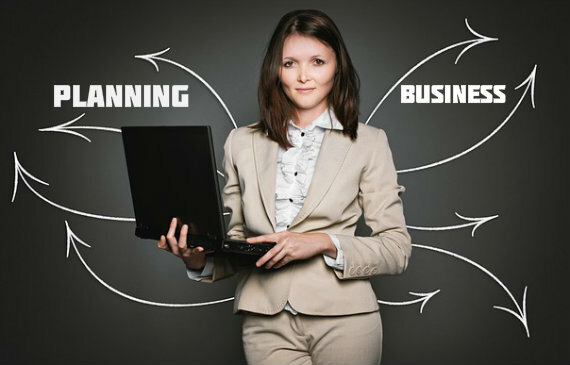 Take advantage of the free resources on the internet to learn about business fundamentals, including but not limited to marketing, accounting, bookkeeping, and planning and strategy. Also, read the news and follow closely people who have successfully run businesses to gain practical insights from them. Ever wonder why company A never fails to churn out viral videos or becomes a trending topic on social media trend? You can learn from businesses who have successfully established their personas and gained notoriety and popularity on social media. Your task is to study how they engage with their followers, customers, and fans. Then, examine your demographics, preferences, and attitudes. You may be able to adopt the strategies of those companies for your social media campaigns. Don’t forget to do A/B testing. You might be able to get a logo for your shop through non-monetary means. Ask a friend if he or she can do the design work in exchange for another service or product from you. While you will need to invest in the branding of your business in the long run, this ”barter” system may work at the initial stages of your company. If you’ve been skipping mixers or parties, now’s the time to reconsider. Get used to the idea of exchanging contacts with other people in any small or big social gatherings. When you attend parties for networking, be sure you know your stuff and have made progress in your business, e.g., product development. It’s a convenient time to introduce your product or company and possibly meet people that can work with you. Did we miss out on anything? Let us know in the comment section. 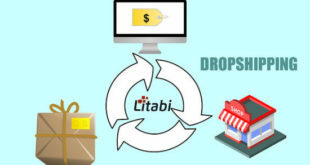 How Do Dropshipping Work As A Business?